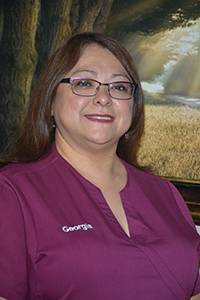 Georgia is an optician; she has worked in this field for over 10 years. She came on with TSO Santa Fe, in August 2014. She previously worked with TSO Houston location. She also assists in verifying insurance and reviewing benefits with patients. She enjoys helping patients choose the right frame and loves to help with all their optical needs. She was born in Lubbock, Texas, has four children and four adorable grandsons. Very nice people as well as great doctors! Doctor & staff are very friendly. Dr.Trovias is very knowledgeable, gives great information and is thorough in her examination. The office is bright and comfortable. My experience was easily a five star. Friendly staff with quick service. Great place. Everyone is very helpful and nice. Great group. Professional. Nice. Knowledgeable.